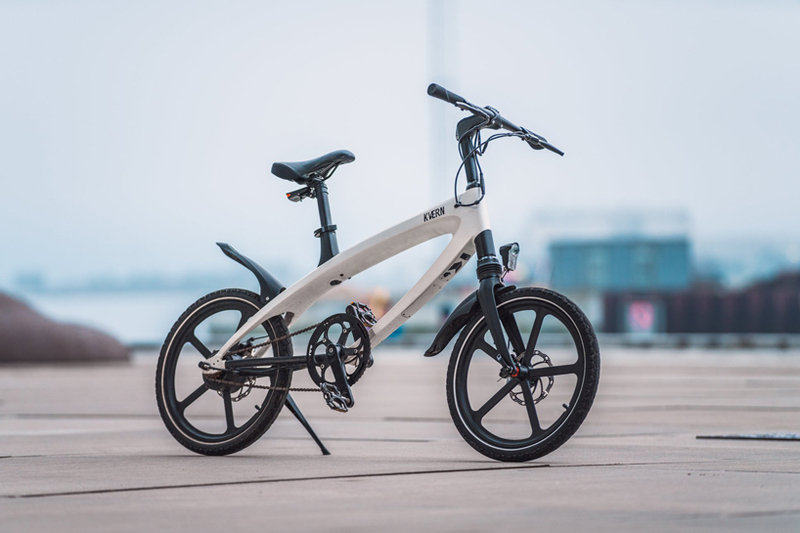 We Love Kvaern’s BMX-influenced electric bike which features a solar-powered charging pack.The bike can accelerate from 0 to 15 mph in 4.5 seconds, and makes use of a torque sensor that varies the electrical assist to suit riding conditions. 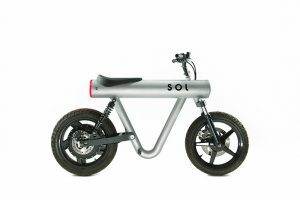 Driven by a 250W motor paired up with a 36 V battery, it offers a range of 50 km (31 miles). 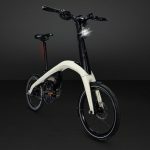 The Denmark-based company, Kvaern (Cool ride) has a sleek design with a bold aluminum frame, top and down tubes, and five-spoke magnesium alloy wheels. 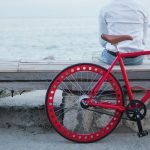 It’s technological refinements include a trip computer on the handlebars that displays speed, mileage and battery level, an integrated bluetooth speaker, plus front and rear tail-lights. Once the battery’s power is gone, it can be removed and recharged via a wall outlet. The bike can also be hooked up to a solar charging system, which draws power from the sun and stores it in a powerwall-like battery. 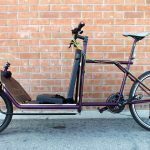 The Kvaern electric bicycle is seeking crowd funding via its campaign on indiegogo. This entry was posted in DESIGN, WE LOVE and tagged Bike Design, Transport Design. Bookmark the permalink.